The global collagen meniscus implant market is likely to witness a strong growth during forecast period 2018 - 2028 owing to the rise road accidents all across the world. Collagen meniscus implant is generally used to replace missing portion or the clinically irreparable damaged portion of the meniscus in meniscal injuries. These implants are biocompatible scaffolds which are made out of highly purified collagen. These reinforces and repairs meniscus defects caused by meniscus tears or meniscectomy. It has been duly noted that meniscal tears are one of the most commonly happening cartilage injuries of the knees. Meniscus tear generally takes place in people who are associated with heavy physical activities. 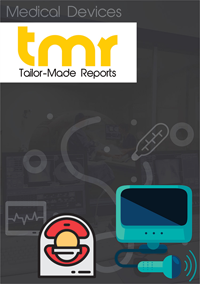 The global collagen meniscus implant market is witnessing a significant due to rise in road accidents. Rapid growth of the automobile industry along with rise in disposable income throughout the world, has significantly increased the number of vehicles on the road. This has caused a tremendous surge in the number of road accidents. Large of number of victims have to undergo collagen meniscus implant due to meniscus tear or meniscectomy. Apart from road accidents, rising number of labor workers in the industries likely to help the market. Workers in the factories perform heavy physical tasks which are have a tremendous impact on their knees, causing meniscus tear. Rapid industrialization has increased the pressure on laborers to work over the shift, raising the risk to undergo collagen meniscus implant. Rapid urbanization along with growing health conscious people all across the world has helped to uptake sports related activities. Rising obesity and diabetes cases due to increase in consumption of canned foods, read to eat foods, fast foods, and processed foods are compelling health concerned crowd to go for sports related activities. However, rise in uptake for sports related activities have resulted in increasing number of sport related injuries. This is foreseen to dive growth of the collagen meniscus implant market. Rising case of trauma due to fall, bone fractures, and other medical intervention are likely to augment demand for collagen meniscus implant. Surge in geriatric population is also playing a pivotal role in boosting the market. With the age, meniscus starts becoming weak, thus requiring more medical attention. However, issues related to weight bearing and range of motion is likely to make patient avoid implantation surgeries. Recently, a major player in the muculoskeletal healthcare, Zimmer Biomet, has announced that it partnered with the technology giant, Apple Inc., to establish better connection between surgical care teams and patients. Application by Zimmer Biomet will utilize iPhone technologies and Apple watch to transform the patient journey for hip and knee replacements. On the basis of region, the global collagen meniscus implant market is spread across Middle East and Africa, Asia Pacific, Europe, North America, and Latin America. Amongst the pack, North America’s collage meniscus implant market is likely to generate major revenue share during the forecast period. Key reason lying behind the success of the market in the region is the rising number of meniscus surgeries in the region. On the other hand, Asia Pacific is predicted to see a strong demand due rising number of sports related knee injuries.